Font/Color/Background Style Changer customize the font, colors, and style of this site click here for your options! Yes — you can change how this page displays, by selecting options which the system saves as cookies for your next visit. Click here, or click Font/Color/Background Style Changer in the Navigation Table above. The 2019 World Handwriting Contest is now accepting entries from January 1, 2019 through June 30, 2019. The 2018 World Handwriting Contest has been closed, and has been judged. 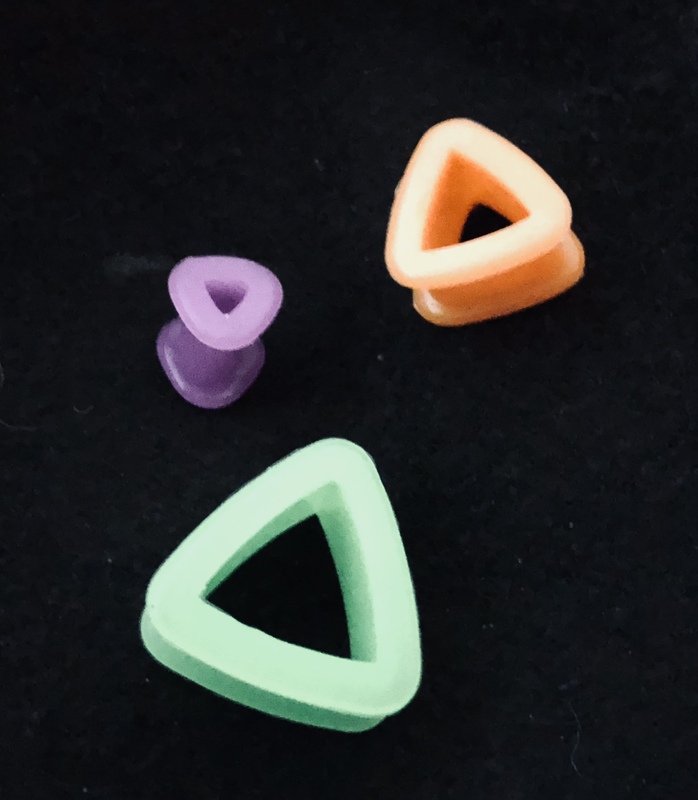 Kate Gladstone has developed the multi-color surgical silicone invertible TriOn pen grips. 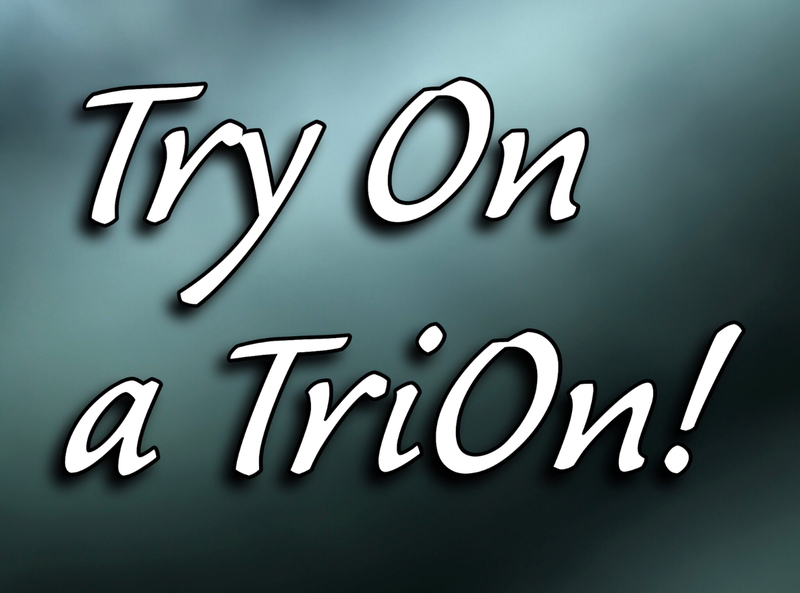 Buy TriOns at National Autism Resources. On purchase you will immediately taken to the product download screen. I recently attended a webinar given by Kate Gladstone on Handwriting Repair and was so impressed that she thought to train us about how a young 5 year old thinks and feels when learning to write. How true that when a teacher tells the child to move the pencil “up” the page, that that does not necessarily translate correctly if the page is flat on a desk. We don’t all think alike, and may have different problems learning, depending on our point of view. It is refreshing to hear from a person who was in that position of having to overcome handwriting issues firsthand – and can now teach it in an organized and simple manner. Thank you Kate! ... why does the SAT exam now include a timed, handwritten essay? ... why do most employers still require applicants to complete one or more forms by hand? ... why do hundreds of blog entries and Twitter posts daily describe the blogger's or poster's poor handwriting or complain about the poor handwriting of others? Computers will never completely replace other writing tools -- not unless someone can invent a computer the size of a pencil or pen, costing the same as a pencil or pen, and needing no electric power supply. Computers and cell-phones haven't eliminated handwriting -- they have merely tempted people to stop teaching and learning the subject. This is changing, though -- thanks, ironically, to computer software. As millions of schoolchildren head back to the classrooms, Handwriting Repair/Handwriting That Works is orchestrating the release of a startling new iPhone/iPad/iPod Touch application that will forever change the way the world thinks about teaching, learning, and using handwriting. 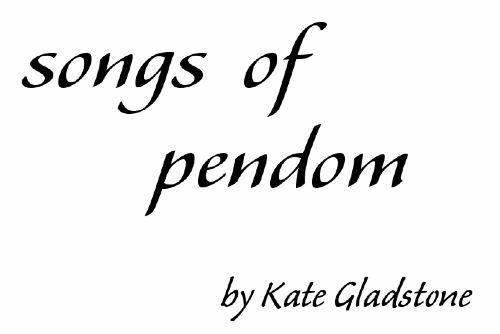 Click here to buy SONGS OF PENDOM, a book of handwriting-related lyrics by me, singable to popular tunes. Want to improve your handwriting? 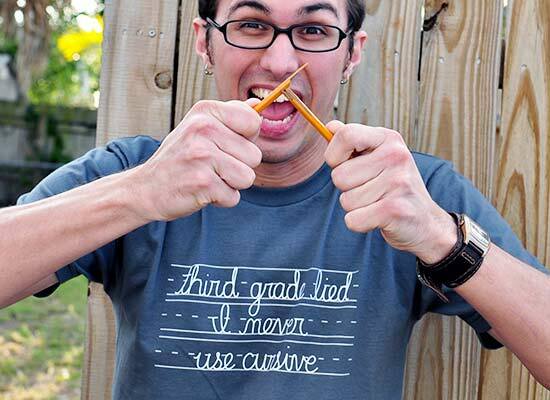 CLICK HERE to buy HandwritingRepair [tm] handwriting improvement sessions. CLICK HERE for the World Handwriting Contest. CLICK HERE for my resumé/CV. Learn about this flexible handwriting curriculum for adults, created by my colleague Nan Barchowsky! Click this text or the above picture to send Nan an e-mail asking for more information. You will have space to add your own contact-information before you click SEND on that e-mail. "Ever since I repaired my handwriting under your guidance, I've been getting rave reviews about the appearance of my writing, but the biggest benefit for me has been regaining the ability to write without pain. The beauty of the writing is a wonderful bonus!" samples written by Carmen P. of Avellino, Italy. 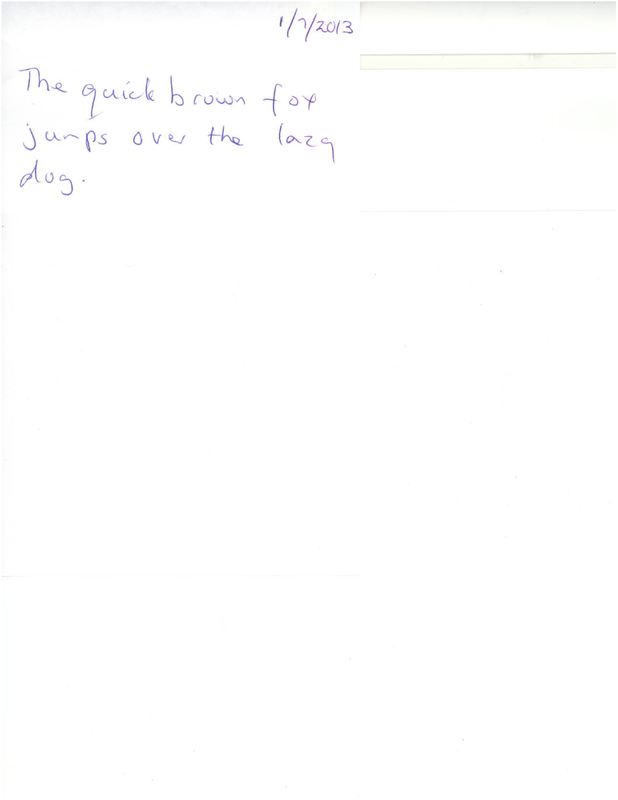 I attach a sample of my new handwriting. It improved so much in such a little time! I still have a lot to do but with these results I have solved half of my problems. nothing but writing. Before this I hated to write, I used pc even for my shopping list. Thanks a lot for your advice, it really worked. ... Regarding the lessons, later on I will take at least another one ... During these days I thought a lot about the importance of the handwriting. A bad handwriting can restrict you in many ways. How many letters I didn't send and what a shame when friends or teachers can't read what you wrote! Before coming across your website I was sure that handwriting is like the color of your eyes, something you just can't change. How foolish I was! 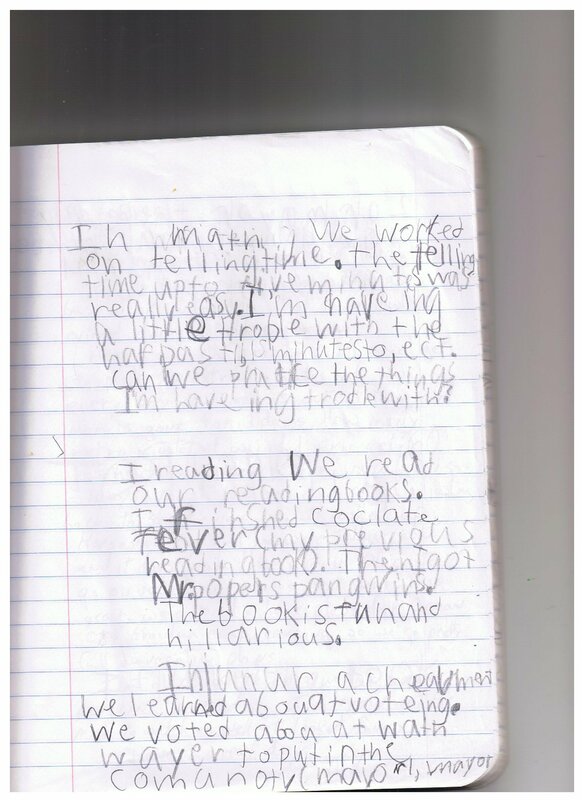 "Here are couple representative samples of our son’s handwriting from his school journal towards the end of second grade. The spacing was bad, the writing was all off of the lines and it was very close to illegible. 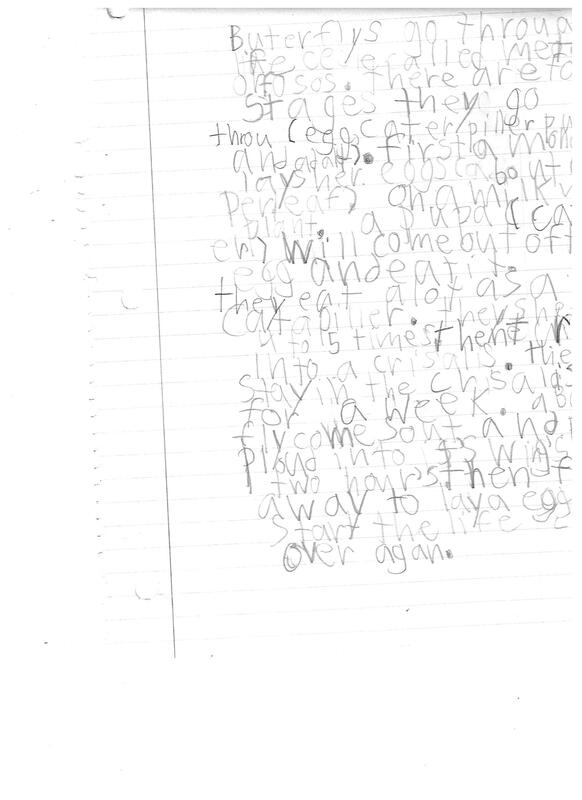 This first one is from March:"
This second sample is from June, and we had been working on his handwriting at home and there is a small amount of improvement in legibility, but not all that much, and this is still far behind the other samples we saw from his classmates when we went to visit the classroom. "After starting with Kate at the end of second grade, he made a lot of progress, not only in legibility, but in spacing, capitalization, and speed. This sample from August is on the lines, I can read it and at the same time he was writing at a much faster pace." Here’s a sample from the fall, after working with Kate once every week or two over the summer. It’s legible, it’s on the lines, the spacing is reasonable, and he is much less self-conscious about his handwriting. "He doesn’t have even close to the best handwriting in his class (and he probably never will), but he has caught up to the point that it is no longer holding him back in school and he is able to complete writing assignments that can be read by the teacher in a reasonable amount of time. Kate has done a great job working with him on his handwriting, and I would highly recommend her for assisting the handwriting-challenged of any age." 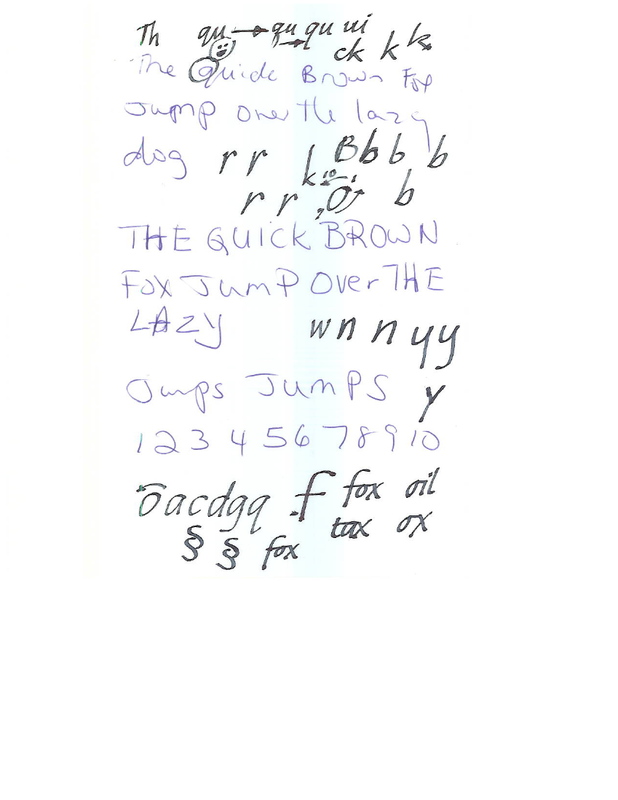 PayPal me (handwritingrepair@gmail.com) the fee for that session, then send me an e-mail with a sample of your handwriting and any information you would like me to have about yourself and about what has influenced your handwriting so far. Within a week, I will e-mail your Handwriting Repair[tm] lesson, customized to meet your scribal needs. if options 1 and 2 do not meet your needs, please contact me via e-mail to set up a different price schedule, an in-person session[s], or other custom arrangements. "So ... what can Handwriting Repair do for me?" 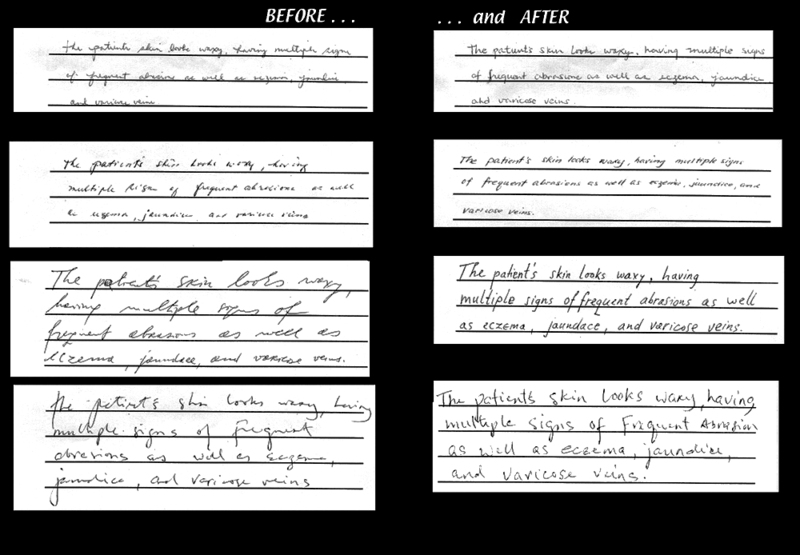 Handwriting Repair makes your handwriting into GRAND writing: user-friendly, readable at speed, and totally awesome! Handwriting Repair achieves this with a no-frills writing model that reaches back to the very first handwriting textbooks of Western Europe, which used a style some call "Italic" from its origin in Renaissance Italy. Handwriting Repair, founded by a member of the Society for Italic Handwriting (the SIH), reaches worldwide with a customized, caring, fun, and user-friendly program for improving handwriting. I grew up with several neurological disorders that made it difficult for me to write quickly or legibly by hand. 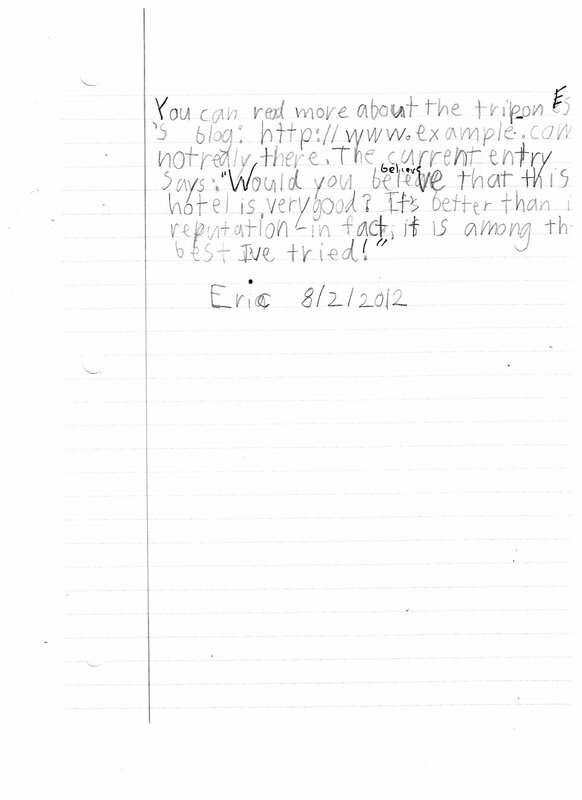 I worked hard on handwriting at school, but for me it remained painful, slow, and illegible: "user-hostile. "To find a way out. I dug through all available research on the history and ergonomics of our handwriting: how it has developed, and where things have gone wrong. You can benefit from the results today. From another side of college life comes further evidence of the power of the pen. According to this DALLAS MORNING NEWS story, savvy college coaches recruiting for football teams have found that the old-fashioned handwritten note gets much more attention than form letters - even from high schoolers. Says reporter Tim McMahon, "Handwritten notes are signs of respect to recruits, proof that college coaches consider them worth spending a few minutes with pen in hand." Get the The Calligraphy Alphabet widget and many other great free widgets at Widgetbox! If "keyboard in hand" gives you less trouble than "pen in hand" at present ... CLICK HERE for Handwriting Repair (tm) sessions on eBay! "Handwriting is civilization's casual encephalogram." "You may not be able to read a doctor's handwriting and prescription, but you'll notice his bills are neatly typewritten." " ... behold, the false pen of the scribes hath written falsely." "I have terrible handwriting. I now say it is a learning disability ... but a nun who was a very troubled woman hit me over the fingers with a ruler because my handwriting was so bad." "Somehow I started introducing handwriting into my drawings, and after a time, the language took over and I started getting very involved with the handwriting and then the look of the handwriting." It did me yeoman's service." >"Here is a golden Rule. ... Write legibly. The average temper of the human race would be perceptibly sweetened, if everybody obeyed this Rule!" -- Lewis Carroll (Charles Lutwidge Dodgson) in “Eight or Nine Wise Words About Letter-Writing” reprinted in The Letters of Lewis Carroll: , vol. II, ed. Morton N. Cohen, Oxford University Press (1979).
" ...But the effort that cost her [Eliza Dolittle] the deepest humiliation was a request to Higgins, whose pet artistic fancy, next to Milton's verse, was caligraphy[sic], and who himself wrote a most beautiful Italian hand, that he would teach her to write. He declared that she was congenitally incapable of forming a single letter worthy of the least of Milton's words; but she persisted; and again he suddenly threw himself into the task of teaching her with a combination of stormy intensity, concentrated patience, and occasional bursts of interesting disquisition on the beauty and nobility, the august mission and destiny, of human handwriting. Eliza ended by acquiring an extremely uncommercial script which was a positive extension of her personal beauty ... "
"When Fred went to the office the next morning, there was a test to be gone through which he was not prepared for. Now Fred," said Caleb, "you will have some desk-work. ... . How are you at writing and arithmetic?" ... "I am very sorry," were all the words that [Fred] could muster. But Mr. Garth was already relenting. "We must make the best of it, Fred," he began, with a return to his usual quiet tone. "Every man can learn to write. I taught myself. Go at it with a will, and sit up at night if the day-time isn't enough. ... "
and hang out with the rest of the handwriting hot-heads? 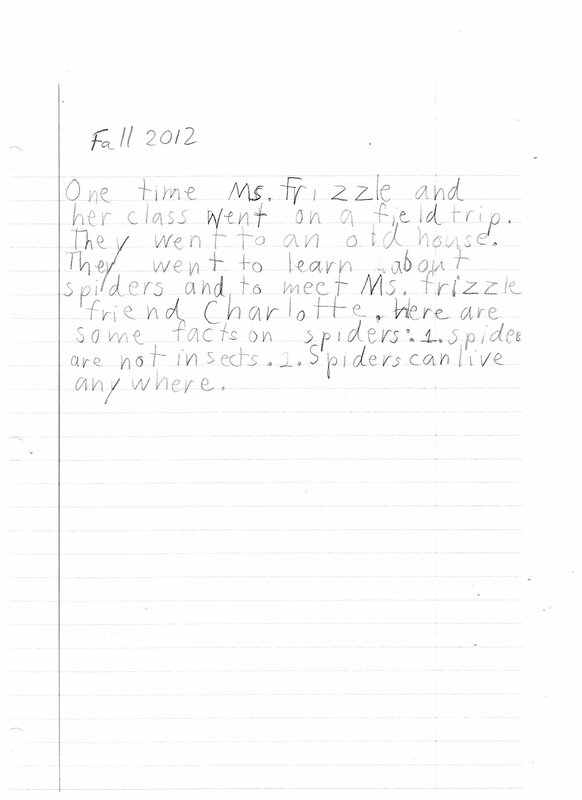 Here is a link showing how a persons handwriting changed since kidergarten. CLICK HERE to order from Amazon through this site!